—this is a note I recieved from Cindy at ConKerr Cancer. you do not even need to register or determine if you are in a red or blue state. Not much time! 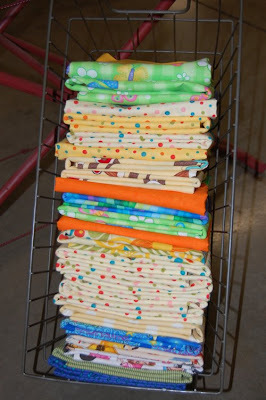 This is the easiest greatest way to make pillowcases. All my family gets a new one for every Holiday. They still act surprised and excited. Possibly they are excited to have a clean pillowcase. Excuse the long instructions. you just have to make one to believe it. It is truly magic!! Plus a good way to use up fabric and buy more! Now go VOTE for Cindy! I am always staggered when I hear of someone who has endured so much and still thinks of how to brighten the lives of others. Cindy is exceptional. I love to make pillow cases and I think your instuctions are better then the ones I usually use. Hi Lissa, I think the pillowcases are darling. I also wanted to thank you for a fun package I recieved today from Moda. I was a runner-up in the November Fabricmatcher contest. When I read the cute little note that came with my package I noticed it was from you, and I had just found your blog through Camille last week. This is such a small world. Thanks again and I can’t wait to start on some new projects. Thanks for the comment on my blog, and thanks for the pillowcase directions. I just finished making potholders for gifts, now i’m going to make pillowcases for birthdays! How fun!